February 25, 2014  More than two years after it began flying, Boeing's 787 aircraft is still plagued by problems. 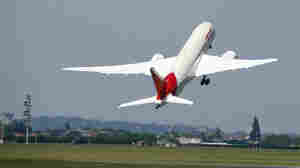 The company says it's making "good progress" on improving the plane's reliability. February 12, 2014  In many states, young adults are lagging in signing up for health insurance under the Affordable Care Act. With the enrollment deadline looming at the end of March, Illinois is turning to The Onion to try to reach "young invincibles." The satirical news site will run banner ads, video and other content to help promote Obamacare. February 10, 2014  Many governors are looking to use their budget surpluses to cut taxes or restore funding to programs that were slashed during lean times. But in an election year, these surpluses are setting up potential political battles. 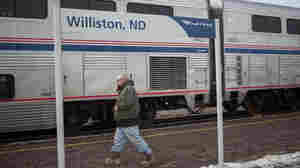 February 6, 2014  Because of an influx of trains hauling crude oil and other freight across the Northern Plains, Amtrak is facing problems with unreliability, long delays, lost revenue and stranded passengers. An advocacy group wants the government to intervene. January 29, 2014  College football and basketball are big business. So are the players of those sports just students, or are they employees with the right to unionize? Football players at Northwestern University have voted to form a union. January 24, 2014  The National Transportation Safety Board is calling for the swift enactment of tough new standards on trains carrying crude oil. With the huge increase in oil shipped by rail across North America, safety officials warn another major disaster could be looming. January 22, 2014  Newly released internal church documents indicate that for decades, top leaders in Chicago's Catholic Archdiocese tried to hide allegations of sexual abuse by priests. The documents were released on Tuesday as part of a settlement agreement with victims of 30 abusive priests. Those survivors now accuse church leaders of orchestrating a cover-up. January 21, 2014  Papers documenting allegation of sexual abuse by priests in the Chicago Archdiocese were released to the public today by victims' attorneys. The documents cover only 30 of at least 65 priests for whom the Chicago church says it has substantiated claims of child abuse. The papers, put online, were made available through settlements between Church and victims' lawyers. Church officials said most of the abuse occurred before 1988, none after 1996, and that all were ultimately reported to authorities. January 10, 2014  Scientists say that the freezing weather can help reduce the population of a beetle that harms trees, as well as other invasive species. 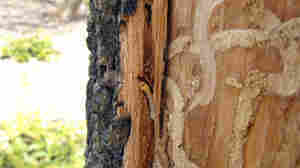 In Minnesota, up to 80 percent of the beetle's larvae may die off, buying some time for those who feared its negative effects on the ash tree population. January 7, 2014  The invasive species of fish has already taken over parts of the Mississippi River and its tributaries. There are fears it could decimate native fisheries in the Great Lakes. A new report detailing options for keeping Asian carp from entering the Great Lakes indicates it would be costly and could take decades. December 27, 2013  North Dakota and western Canada are producing crude oil faster than rail cars and pipelines can take it to refineries. 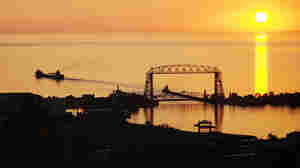 Now, one company wants to ship it by barge across the Great Lakes. 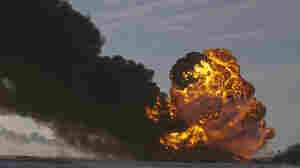 That worries environmentalists, who say a 2010 tar sands oil spill near Lake Michigan has yet to be fully cleaned up. December 23, 2013  Unemployment benefits for 1.3 million Americans expire this Saturday. Congress refused to approve another extension of benefits for the long term unemployed before the end of the year. Illinois could be one of the state's most affected, as it's 8.7 percent unemployment rate is well above the national average. 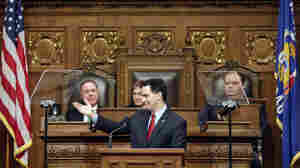 For two of the state's long-term unemployed, the abrupt end of unemployment benefits will have a big effect. December 10, 2013  Two mammoth U.S. food distributors are set to become one. Sysco agreed on Monday to buy U.S. Foods for about $3.5 billion in stock and cash, setting Sysco up to be the biggest player in the industry. December 7, 2013  The high-tech system can essentially override human error and slow a train that is going too fast. Congress mandated that all trains have it by 2015, but only a few passenger and freight railroads will be ready by then. And after a deadly train crash in New York, few in Congress may be willing to vote for a delay.